Over the past few years Serie B has thrown up a few surprises when it comes to promotion, Siena and Chievo have made it to the promised land and last year we had Carpi and Frosinone who had the season of their lives as both sides lasted the pace and, Carpi in particular, left the rest floundering behind. The 2015/16 season threw up another surprise package and they will be desperate to emulate their illustrious rivals who have made it into the big time before them. Who I am waffling on about? Well, I am talking about Crotone and they are blazing a path for all the other teams to follow. FC Crotone is a football club from the town of Crotone, a province in Calabria. The city was founded c. 710 BC as the Achaean colony of Kroton (Latin: Crotona), it was known as Cotrone from the Middle Ages until 1928, when its name was changed to Crotone. The city has a population of around 61,000. 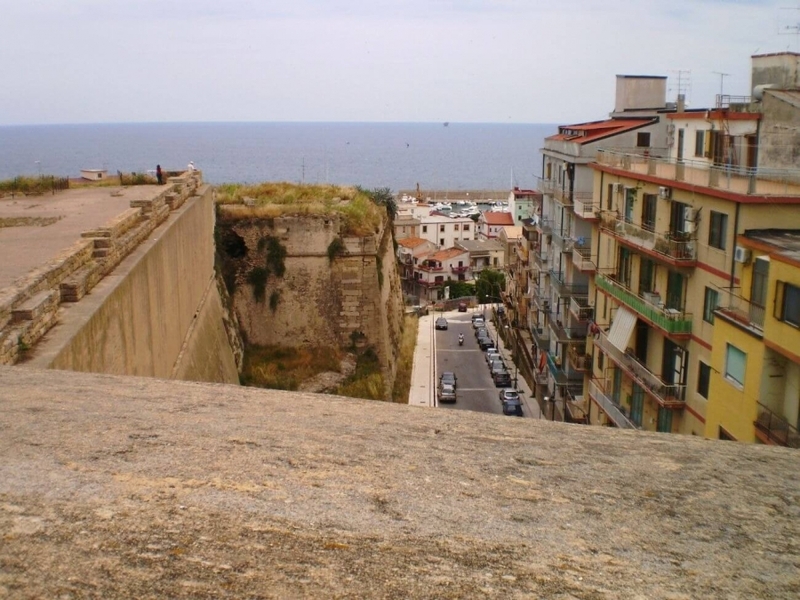 This province of Crotone is also relatively young, only founded in 1992 by separating part of the territory formerly included in the province of Catanzaro, now bordering on southwest, while the Province of Cosenza borders on the northwest. The football club was founded in 1923 under the name Milone Crotone and participated in several minor leagues including Prima Divisione (later known as Serie C). Following World War II a new club was formed, Unione Sportiva Crotone and they plied their trade regularly in Serie C.
The team are often nicknamed the Pythagoreans (Pitagorici) named after the famous philosopher and mathematician who lived in the city around c.530 BC and set up a school before moving on. The team's colours are red and blue (Rossoblu). Home matches are played at the modest 9,631-seater stadium Stadio Ezio Scida, named after an ex player who died in 1946. Throughout their entire history FC Crotone have led a mostly unremarkable existence as a lower division side. In 1978, following the Italian football league reorganisation, Crotone was relegated to Serie C2 and the following year was declared bankrupt. A new club, Associazione Sportiva Crotone, begun competing again in the Prima Categoria (eighth division). The club’s fortunes promised to take a turn for the better under the stewardship of veteran manager Antonello Cuccureddu,. He was instrumental in guiding Rossoblu to the Serie C1 title and first reaching Serie B in 2000. Throughout the decade, the team tried to get a toehold in the league but teetered on the brink between the second and the third tier. Since 2009/10 they have regularly competed in Serie B. But it appears that the good times could be here at last. Last season they finished 17th, just avoiding a relegation play off to fight to stay in Serie B. New coach, ex player Ivan Juric, has transformed this group of players after taking over from local boy and ex player, Massimo Drago, in the summer. Juric earned his promotion with Crotone and was rewarded by being appointed Genoa manager this summer. For their inaugural season in Serie A, they will be managed by ex Genoa and Torino manager Davide Nicola. Odds on favourites for relegation, Rossoblu will need all the team spirit garnered last season to stay in Serie A this time round.